Once you open the disk (or disk image), EFDD scans the disk (or image) and identifies all encrypted volumes available on that disk. These volumes along with their corresponding encryption settings are then displayed in the main window. In previous versions, the toolkit was limited to mounting or decrypting volumes with binary cryptographic keys extracted from the computer’s memory image or hibernation file. The ability to use plain-text passwords or escrow keys for accessing data stored in the encrypted containers was sorely missing. That has changed in EFDD 2.0. In this release, we’re added new ways to mount or decrypt encrypted volumes. You can still use the binary cryptographic key, but if you know the original container’s password, you can just type in that password to either mount the volume or perform its full decryption for offline analysis. 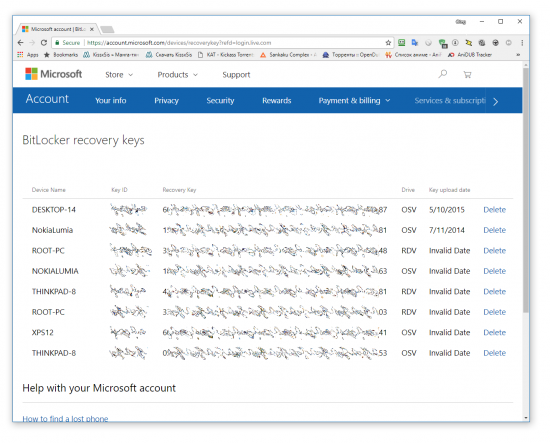 Yet another way to access encrypted data is by using an escrow key, or recovery key, as they are sometimes called. Escrow keys offer a backup of a sort, providing a way for the rightful owner to decrypt data if they lose or forget their password. 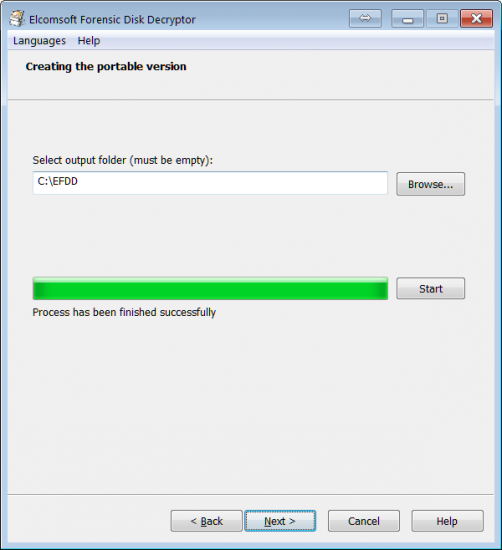 If you’re into breaking BitLocker volumes, we have a comprehensive write-up here and here. You can also learn what has changed in BitLocker in Windows 10 November Update. For FileVault 2, you can extract the recovery key from Apple iCloud (you’ll need Elcomsoft Phone Breakerto do that). The original release of EFDD was made to scan the computer’s volatile memory image. In that image, the tool looks for cryptographic keys that are used for accessing data stored in encrypted containers. If it could find a cryptographic key, EFDD then decrypted the container with no lengthy attacks on the original plain-text password. It all sounds great, but where do you get the RAM image? Before this release, Elcomsoft Forensic Disk Decryptor was relying on memory images captured by third-party tools. Our customers always came back to us, asking if we’re going to develop an imaging tool of our own. And so we did. Elcomsoft Forensic Disk Decryptor 2.0 comes with a proper forensic-grade memory imaging tool that uses zero-level access to computer’s RAM in order to create the most complete memory image. Our RAM imaging tool includes a kernel mode driver that carries a Microsoft digital signature, making it fully compatible with existing 32-bit and 64-bit versions of Windows from Windows 7 and up to the latest Windows 10 Fall Creators Update. 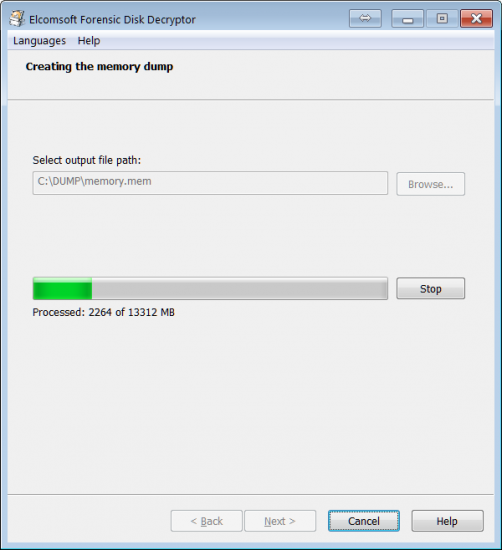 Why does a memory imaging tool need a kernel-level driver? The driver is required to access all areas of the computer’s memory including those that are actively protected with system or third-party anti-dumping and anti-debugging tools. Many memory acquisition tools run in the user mode, and are denied access to certain protected areas in the computer’s RAM. Unlike those tools, ElcomSoft’s solution comes with a kernel-level driver that works in the systems’ most privileged “zero” circle, having full and unrestricted access to all areas of the computer’s memory. The driver is digitally signed by Microsoft. The Microsoft digital signature allows the tool to be installed (or launched) on computers running all versions of Microsoft Windows up to the latest version that enforce driver signing. Elcomsoft Forensic Disk Decryptor 2.0 now fully supports EnCase images in the industry-standard .EO1 format, as well as encrypted DMG images. However, the tool can be launched on live systems from a portable USB drive. In order to create a portable version, you’ll need to install Elcomsoft Forensic Disk Decryptor to your computer first, and register it with your license key. You will then be able to create a portable installation on a portable media (BYOFD, or Bring Your Own Flash Drive). You can then use the newly created portable installation to capture other computers’ volatile memory and/or mount or decrypt encrypted volumes. This entry was posted on Wednesday, January 31st, 2018 at 11:59 am	and is filed under Did you know that...?, Elcom-News, Software, Tips & Tricks. You can follow any responses to this entry through the RSS 2.0 feed. Both comments and pings are currently closed.